GUEST [extending his hand]: Hi, my name is Arthur. What's yours? ME: Ben. A pleasure! How do you find Singapore? ARTHUR: Very clean! Very efficient! ME: Ah! So, what do you do, Arthur? Dr. Clarke was the Chancellor at the University of Moratuwa where I graduated. I received my Bachelors degree in electrical engineering at a ceremony from Dr. Clarke in 1982. Later, the university built Arthur C. Clarke Center for Advancement of Communications and Internet Protocols. The following biography was extracted from a Sri Lankan website. I didn't give a link becasue it was way too slow and takes too much time to load. Co-author with Stanley Kubrick of Kubrick's film, 2001: A Space Odyssey, Clarke was regarded as far more than a science fiction writer. He was credited with the concept of communications satellites in 1945, decades before they became a reality. Geosynchronous orbits, which keep satellites in a fixed position relative to the ground, are called Clarke orbits. He joined American broadcaster Walter Cronkite as commentator on the U.S. Apollo moonshots in the late 1960s. Clarke's non-fiction volumes on space travel and his explorations of the Great Barrier Reef and Indian Ocean earned him respect in the world of science, and in 1976 he became an honorary fellow of the American Institute of Aeronautics and Astronautics. But it was his writing that shot him to his greatest fame and that gave him the greatest fulfillment. "Sometimes I am asked how I would like to be remembered," Clarke said recently. "I have had a diverse career as a writer, underwater explorer and space promoter. Of all these I would like to be remembered as a writer." From 1950, he began a prolific output of both fiction and non-fiction, sometimes publishing three books in a year. 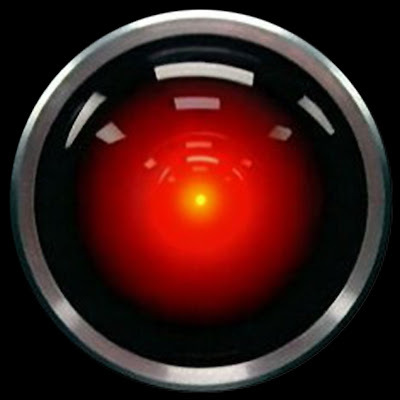 He published his best-selling 3001: The Final Odyssey when he was 79. Some of his best-known books are Childhood's End (1953), The City and The Stars (1956), The Nine Billion Names of God (1967), Rendezvous with Rama (1973), Imperial Earth (1975), and The Songs of Distant Earth (1986). When Clarke and Kubrick got together to develop a movie about space, they used as basic ideas several of Clarke's shorter pieces, including "The Sentinel," written in 1948, and "Encounter in the Dawn." As work progressed on the screenplay, Clarke also wrote a novel of the story. He followed it up with 2010: A Space Odyssey, 2061: Odyssey Three, and 3001: The Final Odyssey. Clarke won the Nebula Award of the Science Fiction Writers of America in 1972, 1974 and 1979; the Hugo Award of the World Science Fiction Convention in 1974 and 1980, and in 1986 became Grand Master of the Science Fiction Writers of America. He was awarded the CBE in 1989. Born in Minehead, western England, on Dec. 16, 1917, the son of a farmer, Arthur Charles Clark became addicted to science-fiction after buying his first copies of the pulp magazine, "Amazing Stories," at Woolworth's. He devoured English writers, H.G. Wells and Olaf Stapledon and began writing for his school magazine in his teens. Clarke went to work as a clerk in Her Majesty's Exchequer and Audit Department in London, where he joined the British Interplanetary Society and wrote his first short stories and scientific articles on space travel. It was not until after the World War II that Clarke received a bachelor of science degree in physics and mathematics from King's College in London. In the wartime Royal Air Force, he was put in charge of a new radar blind-landing system. But it was an RAF memo he wrote in 1945 about the future of communications that led him to fame. It was about the possibility of using satellites to revolutionize communications — an idea whose time had decidedly not come. Clarke later sent it to a publication called Wireless World, which almost rejected it as too far-fetched. Clarke married in 1953, and was divorced in 1964. He had no children. Disabled by post-polio syndrome, the lingering effects of a disease that had paralyzed him for two months in 1959, Clarke rarely left his home in the Indian Ocean island of Sri Lanka. He moved there in 1956, lured by his interest in marine diving which, he said, was as close as he could get to the weightless feeling of space. "I'm perfectly operational underwater," he once said. Clarke was linked by his computer with friends and fans around the world, spending each morning answering e-mails and browsing the Internet. In an interview with The Associated Press, Clarke said he did not regret having never followed his novels into space, adding that he had arranged to have DNA from strands of his hair sent into orbit. "One day, some super civilization may encounter this relic from the vanished species and I may exist in another time," he said. "Move over, Stephen King." This is indeed a very sad day and this world will miss him dearly. We are lot poorer today than yesterday. I will cherish my memories about him for the rest of my life. I’m sometimes asked how I would like to be remembered. I’ve had a diverse career as a writer, underwater explorer, space promoter and science populariser. Of all these, I want to be remembered most as a writer — one who entertained readers, and, hopefully, stretched their imaginations as well. The books I leave behind. 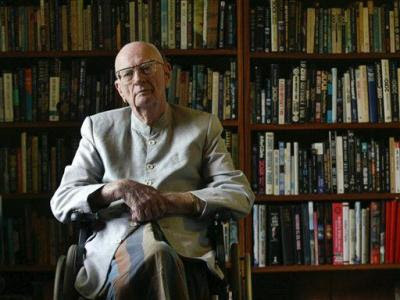 This is Arthur Clarke, saying thank you and goodbye from Colombo.